Because fraud professionals have very little visibility into how their peers conduct their fraud prevention operations, they have relatively little insight beyond their own instincts and results guiding their efforts. Industry-wide benchmarks are rare. 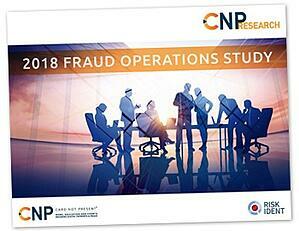 The CNP-RISK IDENT Fraud Operations Survey is an annual research effort endeavoring to provide that information. What do fraud teams measure and how do they define success? To whom do they report in the organizational structure? To whom and how do they assign manual reviews? What tools are most effective and how do they evaluate them? These are just a few of the areas this year’s survey covered and will serve as the basis going forward to assess how fraud operations are evolving from year to year as e- and m-commerce continue change the way consumers—and fraudsters—interact with businesses. Fill out the form to download your PDF.